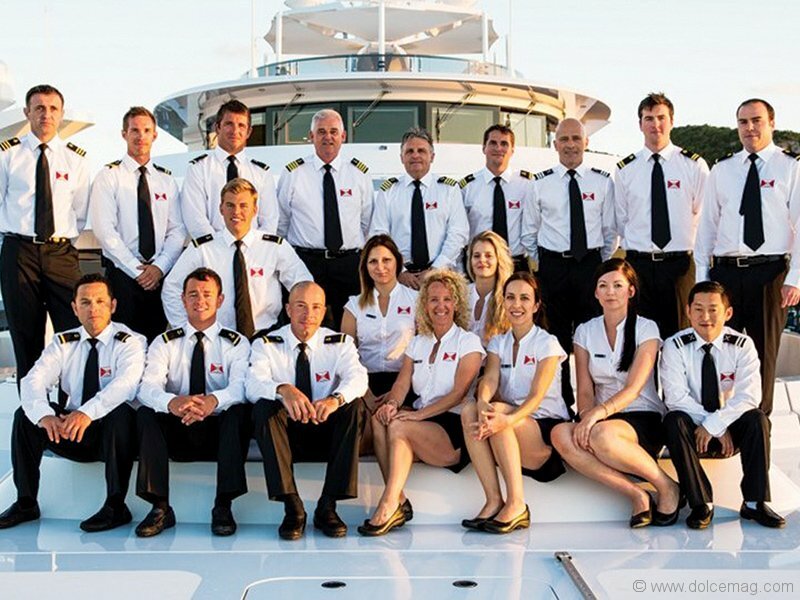 Twenty-five years ago, professional yacht management companies didn’t exist. Today, for yachts over 40 metres, they are a necessity. In that time, the size of a yacht has almost doubled from 25 metres to 40 metres, the technology that powers them has changed out of all recognition and the regulations governing crew and compliance have become so complex it’s a full-time business keeping up with them. When the Monaco Yacht Show was launched a quarter of a century ago, the yachting business was much less developed. There were only 30 yachts on display along Quai des États-Unis, Nice, and around 50 exhibiting companies. By contrast, this year’s anniversary edition features 500 companies, with 33,000 visitors casting an eye over 120 of the world’s finest super yachts on show in Port Hercules. The growth of the show mirrors the rapid expansion of the industry itself. Super yachting is no longer confined to a small group of passionate aficionados; today, it is a $35-billion industry, doubling in the last 15 years despite the global meltdown, and employing 300,000 staff members. 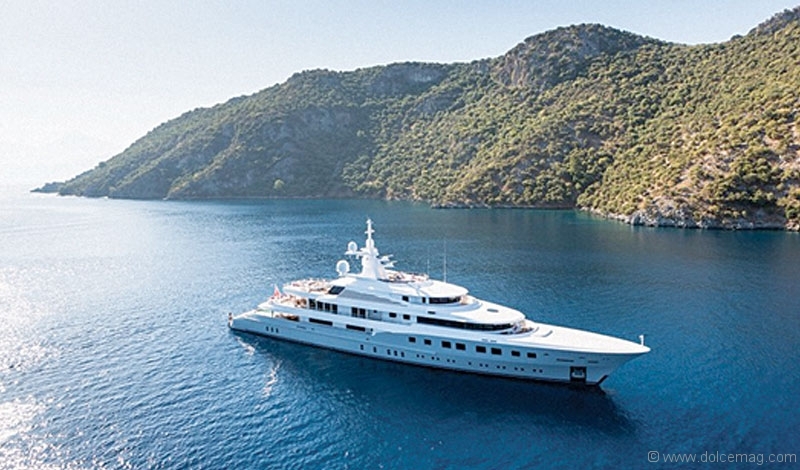 Sale volumes have risen dramatically, with more than 2,000 yachts actively for sale in the marketplace. Many of those are well-maintained, pre-owned yachts of good quality but with a reasonable price tag attached to them. This has introduced a new generation of younger owners, many of them from Russia, the Middle East and Asia, to super yachts, reinvigorating the industry. Invariably, mega yachts, such as the $600-million, 180-metre Azzam, or the 147-metre White Pearl – which will be the world’s biggest sailing yacht when it is launched in 2016 − have attracted headlines, but they don’t give a true picture of the market. They account for only around 1 per cent of brokerage and new-build sales. Custom and semi-custom models in the 24- to 40-metre range account for 70 per cent of all yacht sales. This is the typical entry point for most new owners at a price of $8-million-plus. This year, for the first time since the global crisis, demand is beginning to outstrip supply and prices are edging up. We are selling a 46-metre yacht, Balista, at Monaco for $38.3 million. In this market, the role of a broker is more important than ever. Yachting Partners International (YPI) is one of the longest-serving yacht brokerage houses – there were just 14 brokerage houses when we started more than 40 years ago – and we have sold more than 600 quality yachts in the 24-metres-plus range for clients all over the world. When a buyer comes to us they are acquiring in-depth market intelligence – both of yachts for sale on the market and those secret off-market deals. In the case of a pre-owned yacht, they are buying knowledge of its maintenance and refit history, an accurate projection of future running costs and likely resale price. Often, a yacht’s price does not equate to value – in fact, a price drop might actually flag up a risky investment, not a bargain buy. That’s a very difficult lesson for a newcomer to grasp. Equally, buyer profiling is at the heart of a successful yacht purchase; a broker needs to understand how a client intends to use the yacht. More and more owners are chartering their yachts; it provides useful revenue to help cover running costs, keeps the crew in good shape, ensures the yacht is properly used and builds brand awareness. That can be invaluable when it comes to selling. Some 1,400 of the world’s 6,000 super yachts are available for charter. Two years ago Axioma, a 72-metre yacht, created a sensation when it was sold on the penultimate day of the Monaco Yacht Show. Far from disappearing from view, the award-winning yacht was made available for charter by its new owners and generated more than $7 million in its first year. The YPI Selection app, which is free to download from the Apple and Google stores, includes an interactive map that allows you to find out about all the yachts for sale around the world and those available for charter. Chartering has introduced a new type of customer to super yachting. It’s a unique holiday, a chance to escape the crowds and enjoy sumptuous luxury against an ever-changing backdrop of Mediterranean or Caribbean coastlines. Axioma is available for charter through YPI at around $1 million per week (depending on the time of year), allowing families and friends to savour the super yacht experience and the services of the 20-strong crew without the commitment of ownership. Today’s owners need to run their super yachts like a business. The introduction of new regulations, such as the MLC 2006, giving yachting crews the same rights as seafarers in the shipping industry, has led to more paperwork, administration, checks and procedures. The number of tax charges has increased and there is now a plethora of regulations for yachts entering territorial waters. The super yacht industry has come of age. It’s no longer the preserve of the enthusiastic amateur. It’s a more sophisticated world and, whether you’re buying, selling, managing or chartering, it’s never been more important to find an expert to help you navigate these choppy waters.